Twelve road constructions will be finished before the China International Import Expo opens in November to facilitate the traffic entering Shanghai. 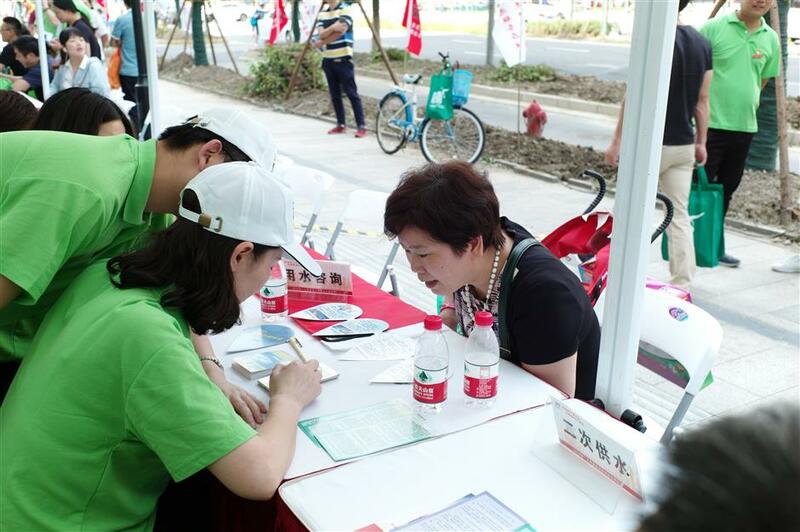 SMI group volunteers provide consulting service on water supply for residents in Shanghai on June 2, 2018. The upgrade of the National Exhibition and Convention Center to prepare for the China International Import Expo will be finished before September. Meanwhile, 12 road constructions around the center will be finished before the expo opens in November, said Shanghai Municipal Investment Group which is in charge of these road works. The section of S26 highway leading to Shanghai, Zhuguang Road and north section of G15 highway will be the three major roads to ease the traffic pressure of cars entering the city from Zhejiang and Jiangsu provinces. The renovation of G15 highway, the major north-south route in the west of Shanghai, is due to be finished by the end of September. In order to facilitate possible massive traffic flow during the expo, a two-lane ground-level road will first be built to connect Beiqing Highway in Minhang District and Songze Avenue in Qingpu District. An underground tunnel is also under construction except it will be finished by June 2019. SMI group also said it will assure the water supply and drainage across the city during the expo. Zhang Lili from the company's operation department said emergency crews will stand by around the venue to deal with possible flood. They will be able to reach the site of emergency within 30 minutes. Water hyacinths usually grow rampantly during November every year which jeopardize the water quality. SMI group has set plans to monitor and clear the plants, sending extra volunteers to monitor waterways across the city, especially the 45-kilometer riverfront walk along the Huangpu River. The volunteering campaign started on June 2, recruiting more than 10,000 volunteers to take part in 112 services in June and November.